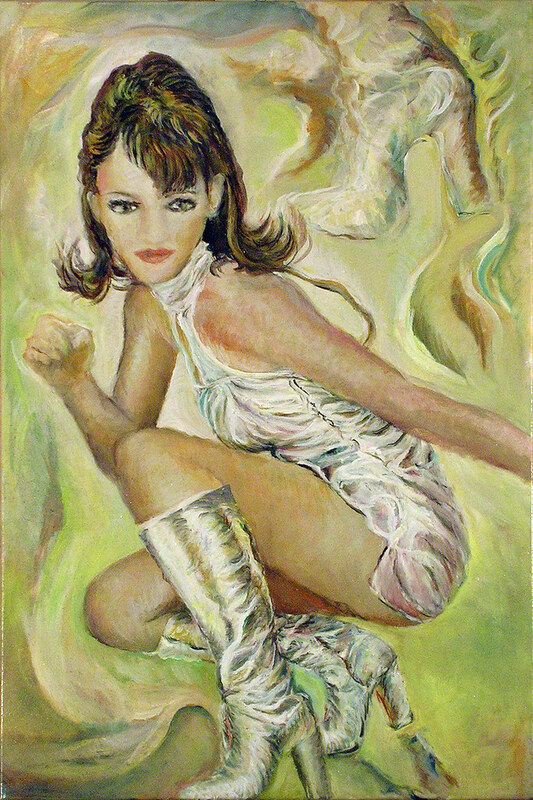 Work over the last week on this painting of Liz Hurley, the one she wears her silver suit and boots from the movie Austin Powers…so the latest version from today, I think it is coming along pretty good, maybe it has arrived, it is yet to be decided..
And of course, to respect my ‘routine’ here’s the slideshow and the picture that did inspire this painting. Cette entrée, publiée dans Art, Liz Hurley, Painting, Peinture, Top modèles/top models par JMR-ART, est marquée 431, Austin Powers. Mettre ce permalien en signet.